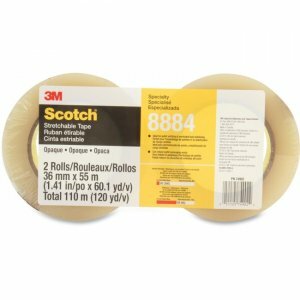 Stretchable tape stretches for light-to-medium-duty applications. Stretching decreases adhesion level to prevent product surface damage. After stretching polyethylene, backing increases in strength for bundling and strapping applications.